Of the total tuna catch, 86% came from stocks at “healthy” levels, an 8% increased share of the total catch since last reported, according to an October 2018 International Seafood Sustainability Foundation (ISSF) Status of the Stocks report. Skipjack tuna stocks — at healthy levels in all ocean regions — still comprise more than one-half of the total catch. The assessment for Western and Central Pacific bigeye was more optimistic, showing that the stock is not overfished and that recent management measures put in place by the Western and Central Pacific Fisheries Commission (WCPFC) appear to be working effectively. Atlantic Ocean bigeye received a pessimistic stock assessment from the International Commission for the Conservation of Atlantic Tunas (ICCAT) and remains overfished. In 2017, Atlantic bigeye catches exceeded the total allowable catch (TAC) by approximately 20%. ISSF has long advocated that ICCAT adopt stock-specific management measures to effectively control the catch of bigeye and other overfished species in the region including Atlantic yellowfin. Catches of Eastern Pacific bigeye in 2017 increased 10% from 2016 levels. The Inter-American Tropical Tuna Council (IATTC) conducted an update assessment of the stock that appears to indicate that the stock is experiencing overfishing. The results should be viewed with caution due to the high levels of uncertainty in the assessment. 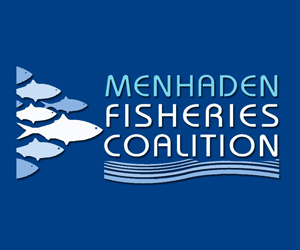 Nevertheless, several fishery indicators suggest that the management measures in place are insufficient to effectively control fishing. There were no other major changes in tuna stock status since the previous February 2018 Status of the Stocks report; the updated report reflects new data made available at 2018 tuna Regional Fisheries Management Organization (RFMO) meetings held through October 2018. Total catch: In 2016, the total major commercial tuna catch was 4.9 million tonnes. More than half of the total catch (57%) was skipjack tuna, followed by yellowfin (30%), bigeye (8%) and albacore (4%). Bluefin tunas (3 species) accounted for only 1% of the global catch. These percentages changed only slightly from the February 2018 report. Abundance or “spawning biomass” levels: Globally, 65% of the 23 stocks are at a healthy level of abundance, 13% are overfished and 22% are at an intermediate level. In terms of total catch, 86% come from healthy stocks, 10% from overfished stocks and 4% from stocks at an intermediate level. Unchanged from the last reporting, the stocks receiving orange scores — indicating overfished status — remain Atlantic Ocean bigeye, Pacific Ocean bluefin and Indian Ocean yellowfin. Fishing mortality levels: 70% of the 23 stocks are experiencing a well-managed fishing mortality rate and 17% are experiencing overfishing. Largest catches by stock: The five largest catches in tonnes are Western Pacific Ocean skipjack, Western Pacific Ocean yellowfin, Indian Ocean skipjack, Indian Ocean yellowfin and Eastern Pacific Ocean skipjack. Tuna production by ocean region: Most (53%) of the world’s tuna is harvested from the Western and Central Pacific Ocean, followed by the Indian Ocean (20%), Eastern Pacific Ocean (13%) and Atlantic Ocean (10%). Tuna production by fishing gear: 65% of the catch is made by purse seining, followed by longline (12%), pole-and-line (8%), gillnets (3%) and miscellaneous gears (12%). These percentages have not changed since the February report. There are 23 stocks of major commercial tuna species worldwide — 6 albacore, 4 bigeye, 4 bluefin, 5 skipjack, and 4 yellowfin stocks. The Status of the Stocks summarizes the results of the most recent scientific assessments of these stocks, as well as the current management measures adopted by the RFMOs. Updated several times per year, Status of the Stocks assigns color ratings (green, yellow or orange) using a consistent methodology based on three factors: Abundance, Exploitation/Management (fishing mortality) and Environmental Impact (bycatch). ISSF produces two reports annually that seek to provide clarity about where we stand — and how much more needs to be done — to ensure the long-term sustainability of tuna stocks: the Status of the Stocks provides a comprehensive analysis of tuna stocks by species, and the Evaluation of the Sustainability of Global Tuna Stocks Relative to Marine Stewardship Council (MSC) Criteria provides scores for the stocks and RFMOs based on MSC assessment criteria. 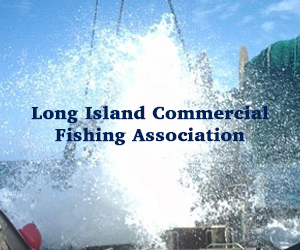 The MSC-certified fisheries list (Appendix 2) in Status of the Stocks complements the Evaluation report. Together, these tools help to define the continuous improvement achieved, as well as the areas and issues that require more attention. In addition, ISSF maintains a data-visualization tool based on its Status of the Stocks report. The “Status of the Stocks Tool” is located on the ISSF website and accessible through the Status of the Stocks overview page; users can easily toggle through tuna stock health indicators and filter by location, species and other key stock health and catch factors. January 10, 2017 — SEAFOOD NEWS — The National Fisheries Institute, six major seafood companies, and two West Coast Associations sued the Obama Administration over the final US Rule regarding seafood import regulations in federal district court on Friday, Jan 6th. The six company plaintiffs are Alfa International, Fortune Fish & Gourmet, Handy Seafood, Pacific Seafood Group, Trident Seafoods, and Libby Hill Seafood Restaurants. 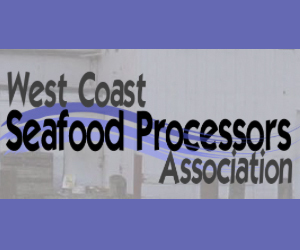 Also the Pacific Seafood Processors Association and the West Coast Seafood Processors Association joined the lawsuit. The Final rule was announced on December 9, 2016, and was the culmination of the regulations that were developed at the urging of the Presidential Task Force on Seafood Fraud. The suit is unusual in that NFI was the leading advocate for action against seafood fraud over the past decade. 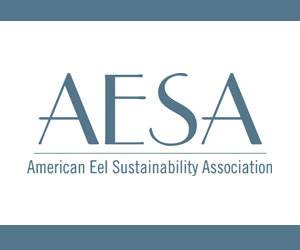 However, NFI claims that the new rule is not based on a risk assessment with data about seafood fraud, but without evidence will impose enormous and unjustified costs on the American public and the seafood industry. 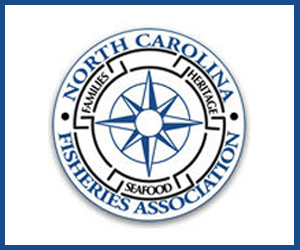 NFI began publicizing and working against seafood fraud more than a decade ago, focusing on the lack of any enforcement over seafood labeling regarding net weights and product integrity. At the time, US buyers were being flooded with offers for seafood with glaze (protective ice coatings) of 20% to 40% of the total weight of the product, leading to a hugely misleading price per lb. Also NFI worked with the FDA and NOAA on better enforcement of seafood labeling, including attacking mislabeling of species in commerce. 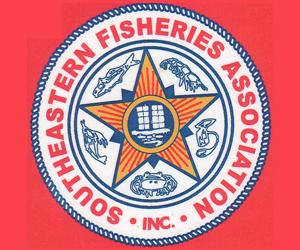 As a result of this pressure a number of states increased their enforcement of state labeling requirements on seafood. Finally, NFI aggressively supported NOAA action against IUU fishing, including traceability requirements on species like toothfish, the signing of the UN Port State Measures Agreement, and the authority of NOAA to blacklist products from IUU vessels from entering the United States. So why, after a decade of work, would NFI feel compelled to sue over the implementation of the Presidential Task Force rule, through NOAA, to combat seafood fraud. The simple answer is that the Task Force refused to recognize the major ways in which fraud was already reduced, and would not accept a data driven approach to defining risk. Instead, the Task force defined 13 species ‘at risk’ that were the target of enforcement under the act, without any verifiable documentation that seafood fraud was a significant problem with these species. Connelly says in the rush to publish the rule, NOAA and the Obama administration refused to disclose the data used to craft it, and grossly miscalculated compliance costs. The Office of Management and Budget made a back of the envelope calculation under the Paperwork Reduction Act that the cost to the industry would be $6.475 million, based on about 30 minutes additional work on each container. The industry thinks costs could exceed $100 million per year, with a total economic impact on the seafood sector of as much as $1 billion. The reason is that there is a total mismatch between the requirements in the rule and the way in which seafood is actually harvested, collected, processed and imported. One of the most glaring examples of the overreach is that in the Task Force, there was wide praise for the EU rule on traceability that requires exporters to the EU to certify the vessels from which the products originated. But at the same time, the EU provides a wide exemption to countries that have sufficient internal fisheries management controls. So for example, neither Norway, Iceland, the US, or New Zealand, for example, are subject to this requirement. But NOAA’s rule makes no exemptions for the lower risk of fraud from countries where enforcement and management is at the highest standard. The rule would apply to ten species of fish and the five species of tuna, or 15 commodities altogether. The agency has deferred rule-making on shrimp and abalone. The ten species are: Atlantic Cod, Pacific Cod, Blue Crab, Red King Crab, Mahi Mahi, Grouper, Red Snapper, Sea Cucumber, Shark, and Swordfish. In addition, Albacore, Bigeye, Skipjack, Yellowfin and Bluefin tuna are included. “According to the Government’s own studies, most mislabeling occurs after seafood has entered the United States and even though many U.S. importers subject imported seafood to DNA testing to preclude fraud at the border. The Rule would accomplish its goals by requiring that fish imported into the United States be traceable to the boat or to a single collection point, time, and place that the fish was caught, and that this information be entered into a master computer program operated by the Government. If implemented the rule will drive up seafood prices and reduce consumption, the exact opposite of the advice to consumers from government health agencies. Alfa Seafood says “The Rule would require processors in Ecuador and Peru, where most of Alfa’s seafood originates, to change the way in which fishermen or brokers document their catches and the way in which processors actually process these catches, so that fish imported into the United States can be traced to a particular fishing event or to a single collection point. This will add hundreds of thousands of dollars to Alfa Seafood’s cost of importing fish, assuming that the processors abroad are willing to modify the way in which they process fish. Handy says they already use DNA testing for all their imports to ensure accuracy. “If Handy’s processors modified their processing methods to segregate product by Aggregate Harvest Report and gathered the information required by the Rule, both the price of Blue Crab to Handy, as well as at retail, would increase by approximately 28%. The price of Grouper would increase by about 8% with a similar impact at retail. a. Name of harvesting vessel(s). b. Flag state of harvesting vessel(s). c. Evidence of authorization of harvesting vessel(s). d. Unique vessel identification(s) of harvesting vessel(s) (if available). e. Type(s) of fishing gear used in harvesting product. f. Names(s) of farm or aquaculture facility. g. Species of fish (scientific name, acceptable name, AND an AFSIS number. j. Quantity and/or weight of the product(s). k. Area(s) of wild-capture or aquaculture location. l. Date(s) of harvest or trip(s). m. Location of aquaculture facility [Not relevant to wild caught seafood]. n. Point(s) of first landing. o. Date(s) of first landing. p. Name of entity(ies) (processor, dealer, vessel) of first landing. It would be a violation of Magnuson-Stevens to import any at-risk seafood without a valid IFTP number. The rule would also reach into the US domestic industry, where currently no such reporting requirements exist, because any seafood exported from the US overseas for processing and re-imported into the US would be subject to the rule. So for example, this would change the entire reporting system for cod and salmon in Alaska. The suit is being filed now, although the actual date of implementation is January, 2018. There was no public sharing of the data on which the agency identified species at risk. There is not a sufficient agency record to support the rule. The final rule was rushed into being by a junior official, the Assistant Administrator For Fisheries, who is an employee of the Dept. of Commerce, not an ‘officer.’ There was no formal designation of authority to make the rule, and such designations are required to only go to “officers of the united states ” of the executive branch. 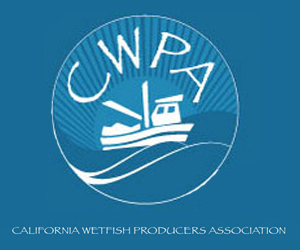 The agency does not have the legislative authority to ‘regulate seafood fraud’. That authority was given to the FDA, not NOAA. The agency failed to do a regulatory flexibility analysis to see if the desired results could be achieved in a less costly and burdensome manner. 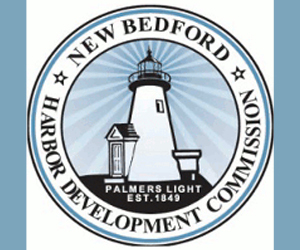 The agency failed to do an adequate cost benefits analysis. The plaintiffs ask for a ruling that enjoins the effective date of the rule until the agency remedies the deficiencies that have been cited. The plaintiffs ask the rule be declared invalid. The plaintiffs ask the court to declare the Agency failed to do the required analysis under the regulatory flexibility act, and to enjoin the rule until such time as that is done. The suit was filed on Friday in the federal district court in Washington, DC.